The Sunflower Foundation’s Healthy Living & Active Communities program seeks to help all Kansans find opportunities for healthier lives through education, lifestyle choices, and environmental factors—including physical, cultural, and social. The Sunflower Foundation works to help strengthen and improve the health care system, especially for vulnerable populations, by working closely with providers and consumers around access, quality and outcomes. The Sunflower Foundation helps nonprofit organizations become stronger and more effective. Where does your county rank in the newest Kansas 2019 County Health Rankings Report? 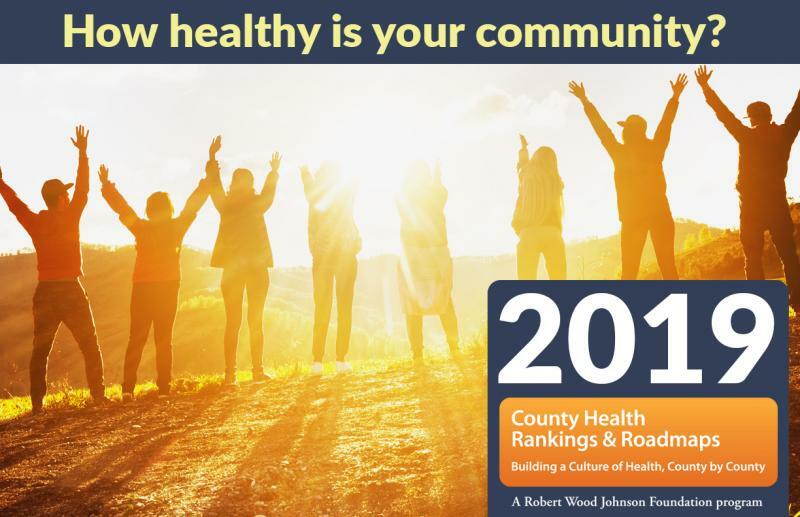 The five healthiest counties in Kansas, starting with the most healthy, are Johnson County, followed by Nemaha County, Pottawatomie County, Wabaunsee County and Riley County, according to the annual County Health Rankings, released today by the Robert Wood Johnson Foundation (RWJF) and the University of Wisconsin Population Health Institute (UWPHI). An easy-to-use snapshot that compares counties within states, the Rankings show that where you live influences how well and how long you live. The Kansas Health Institute (KHI) is the state lead for the 2019 County Health Rankings. KHI has developed individualized data sheets for each Kansas county. This annual report looks at key drivers and inequities in health in our communities, ranks all counties in Kansas, and provides an overview of how the rankings are determined. Learn more about the study and access your county's data sheet at www.khi.org/policy/article/chr2019. The Sunflower Foundation joined Amerigroup, Cowley First-Cowley County Economic Development, and Honor Capital to launch the Anchor Mobile Food Market -- an innovative public-private partnership to address food insecurity in our rural communities. It is estimated that 1 in 6 Kansans is affected by food insecurity, even though they live in the nation’s breadbasket. In fact, Feeding America reports that more than 138,000 Kansas children are food insecure, partly because more than half of the 675 incorporated towns in Kansas do not have a grocery store. The four tribes in Kansas came together five years ago—for the first time in collective memory—to work on ways to improve their communities’ health. “It’s very difficult to improve upon all of," our tribes' needs,” said Kickapoo Councilman Russell Bradley. "But by networking resources, we are helping each other find the best path. I think the Tribal Health Summit has helped with that." Gage Park is one of our state capital’s oldest and largest public green spaces, with more than a million visitors each year. Until recently, it hasn’t had many trails to safely get people from one part to another, whether by foot, wheelchair, or bike. But that is changing. November 27, 2017In Sunflower’s 2017 Annual Report, we are sharing stories from a variety of Kansas communities that we think shed light on why place matters. This report highlights the stories of people who are Kansans either by birth or by choice, working to make their community a better place. When we build better places, we make better lives. The Sunflower Foundation is pleased to announce a new Request for Proposals (RFP). Sunflower’s latest RFP will provide funding to advance the collective efforts of state and local nonprofits to address the social determinants of health and improve health outcomes for Kansans. The deadline to submit proposals is April 4, 2019. All proposals must be submitted using our online application process. Potential applicants are strongly encouraged to participate in an informational webinar to learn more about the RFP, applicant eligibility and other related criteria. Click on the title above for more information about this grant opportunity and to download the slide deck that accompanies the information webinar.